While web-based transactions are quickly becoming the norm in retail and service industries, many customers still expect phone credit card processing. If you run a mail or phone-based company, then MOTO phone credit card processing could be the perfect !t for your business. MOTO credit card processing, or mail order/telephone order processing, lets your customers pay in the way that suits them. Many companies choose phone ordering as a way to keep customer service personalized. Of course, it’s also a great opportunity for you to upsell or cross-sell to interested customers. 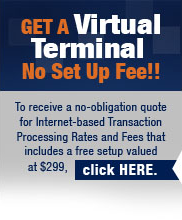 Take advantage of this marketplace by working with Veritrans to set up phone credit card processing. Why Choose Veritrans for Phone Credit Card Processing? Our Quick Start Program guarantees same–day application processing. Usually, in under 48 hours, you will be able to start accepting credit cards. Already have an account somewhere else? Call Veritrans for a free and confidential analysis of your current contract and fees. We’ll help you understand your contract better and walk you through some cost–effective card processing service solutions.